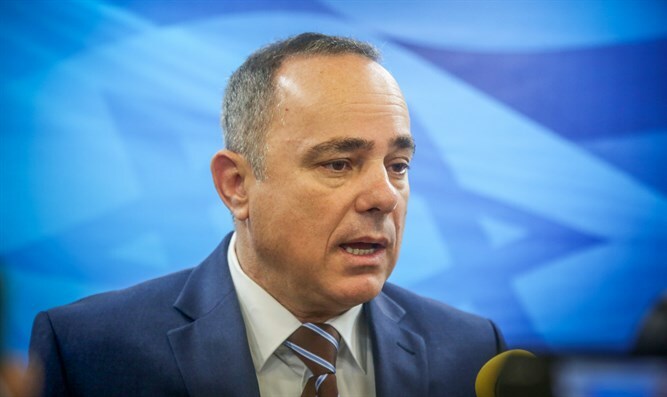 In an Arutz Sheva interview Minister of Infrastructure Yuval Steinitz says that there are alternatives to the Regulation Law if it will be disqualified by the Supreme Court. "The Regulation Law is logical and just, but if it will be disqualified by the Supreme Court, there is a draft for a new regulation law which does exactly the same thing in a different way, which is more acceptable from a legal point of view," said Steinitz. "The situation on the ground is untenable. It is unthinkable that communities established with government backing should suddenly be called a 'mistake' ten, twenty and even thirty years later and should be dismantled. Even the EU's International Court of Human Rights ruled in similar cases in Northern Cyprus that it is possible to require compensation instead of destroying or evicting. Steinitz is unfazed by the international condemnations in the wake of the Regulation Law. "The same people condemning the Judean and Samarian communities and the Regulation Law are not condemning similar situations in North Cyprus or in the disputed areas between India and Pakistan or in other places in the world. These are words reserved for the Jewish nation and the Land of Israel. I'm not fazed by these double standards. Even the European condemnations seem to me to be mere lip service." He claims that the world is beginning to comprehend that the Palestinian Arabs are not a real partner to a political agreement. "It is obvious today to every thinking person that not only Hamas but even Mahmoud Abbas is not a man of peace. He is a warmonger - and the vibes and beliefs that he transmits are that the State of Israel should be destroyed, not just in Judea and Samaria, but also in Tel Aviv and Haifa. "Whoever looks at the Palestinian educational establishment or at its Presidential Guard understands that they are talking there of destroying Israel. Make no mistake about Mahmoud Abbas. He is a man of terror, mayhem and murder - and therefore he is an implacable and sophisticated foe who must be opposed with finesse in the international arena, " concluded Steinitz.